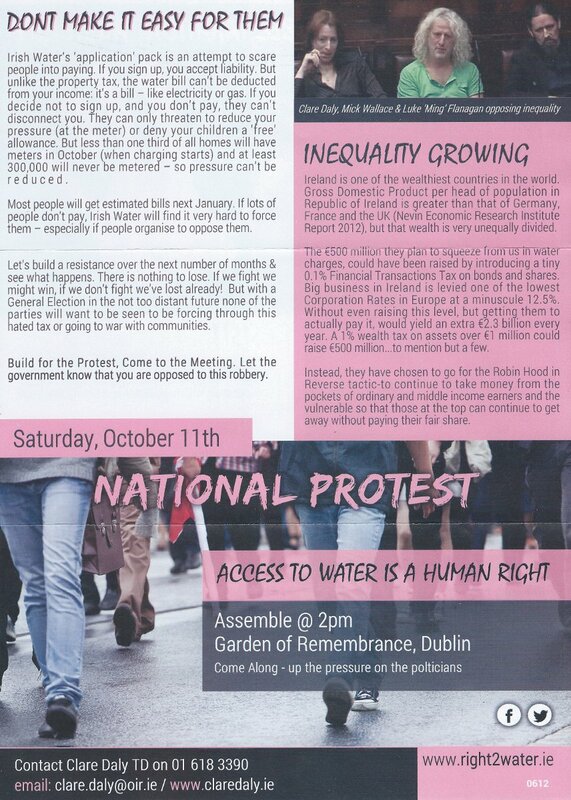 An anti-water charges leaflet from Clare Daly .It contains notices for the National Protest on the 11th of October as well as two local meetings on the topic. The first with Barry Martin of PBPA as a speaker in Balbriggan, and the second with Mick Wallace as a speaker in Swords. 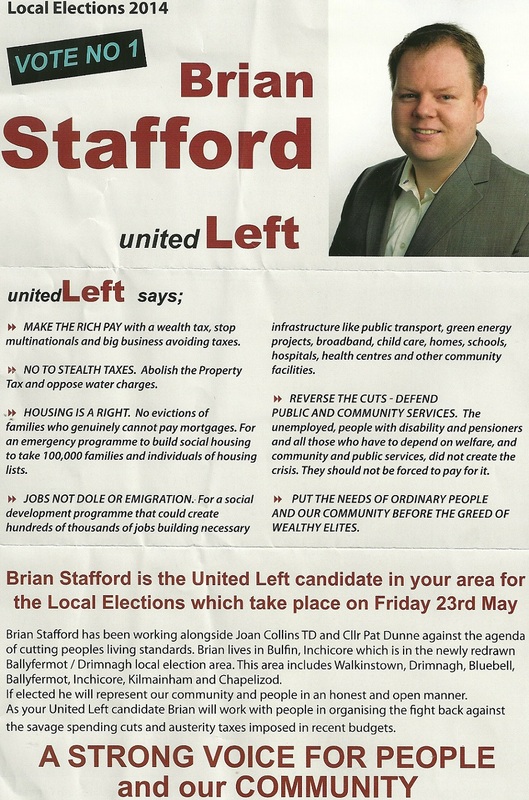 A Leaflet from United Left candidate Brian Stafford who is running in the Ballyfermot-Drimnagh Ward for a seat on Dublin City Council. 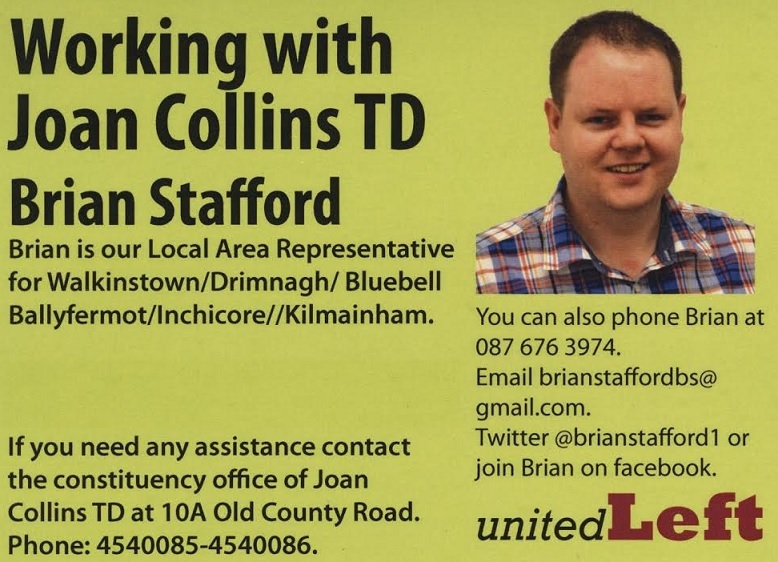 A Canvass card from United Left candidate Brian Stafford who is running in the Ballyfermot-Drimnagh Ward for a seat on Dublin City Council.